Let’s face it. A consultation with a divorce lawyer in Denver and other cities can be pretty expensive, especially if your case is peculiar. If you want to make the most of a legal consultation, you need to start with finding the right lawyer; invest time in searching. Choosing can be overwhelming, but you can always find the right one through referrals and your network. Making the most of your consultation with your divorce lawyer requires you to keep some things in mind. First, you have to set aside your emotions. It’s okay to cry at the beginning. But, if you let emotions overcome you in the succeeding meetings, you will lose time by having your lawyer console you instead of spending it furthering your case. 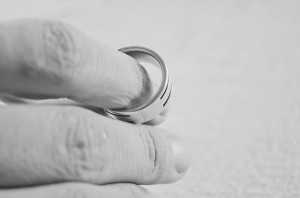 Here are some other things to remember to get the most of your professional and collaborative relationship with your divorce attorney in Denver. This is an important thing to take note of, especially if it’s your first meeting with the lawyer. Chances are you will let emotions rule over you at the first meeting, but a list of questions will keep you from forgetting your concerns. Queries should revolve around the attorney’s typical plan and the potential resolution of your case. The attorney will surely ask you to provide him with paperwork relevant to the case. Prepare all of them; include in your list all records of your family finances, savings, stock accounts, and archives of liabilities. Your attorney will have to review all these documents to develop a more sound strategy. Many cases fail because the client doesn’t fully disclose all the things the lawyer needs to know. To cover loopholes and further the defenses, answer all the questions of your lawyer to the best of your ability. One important thing you need to do is to plan the case’s budget with your lawyer. Be honest if there are some financial problems that may keep you from getting the services of the lawyer; your lawyer may cut some corners for you. Be the first to comment on "Making the Most of Your Attorney’s Services"